VFW 2780 Honor Guard member Richard Long salutes during a graveside memorial service Saturday for U.S. Army veteran John Lawrence Burgess, who was killed in Vietnam in 1970. 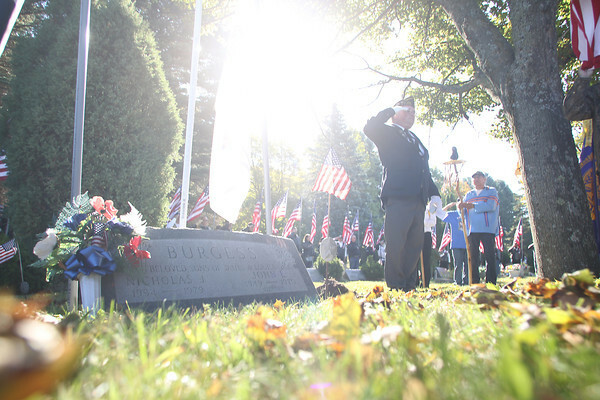 The final recovered remains of Burgess, a 1967 graduate of Kingsley High School, and other servicemen killed in the same helicopter crash were buried in Arlington National Cemetery in July this year. Soil from the burial site in Arlington was placed at his grave marker at Evergreen Cemetery in Kingsley.